Just because she's known as the mother of synchronized swimming in China doesn't mean Japanese coach Masayo Imura treats her players like children. There's no way she could push children that hard, for one. "No, no, I am not their mother. I am their friend," Imura told China Daily through an interpreter in the London Aquatics Center after steering China to its first Olympic silver medal in the team event on Friday. "If I treated them like my kids, I couldn't be so hardhearted and force them to finish every tough requirement in practice. I prefer to be their friends, so I can push them hard to the limit." Her method seems to have paid off. 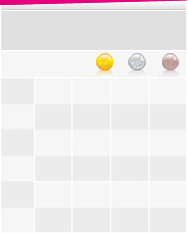 Bagging two medals in London, including a bronze in the duet event by Liu Ou and Huang Xuechen, China improved on the lone bronze it won in the team event in Beijing. Imura has achieved what she set out to do when she took over six year ago. "When I left Japan for China, I was determined to improve the level here and bring them to the top of the world," said Imura, who was a Japanese national representative from 1968-1973. After retiring from the pool, Imura returned as coach of the Japanese team. She oversaw a strong run at six consecutive Olympics (1984 - 2004), collecting four silver and seven bronze medals. Imura was looking for a new challenge, and she found it in China. She accepted the team's offer in 2006, and took the team from sixth in the world to bronze in Beijing. "I just wanted to take the Asian No 1 team to the top the world - it doesn't matter which team I led," she said. Full support from the governing body and the Chinese swimmers' impressive physical conditioning inspired Imura to push hard. After Beijing, Imura continued to implement her detail-oriented training sessions, pushing players to finish every routine to perfection before letting them go home. She also stressed fitness and replaced the veteran duo of Jiang Wenwen and Jiang Tingting with the younger Liu and Huang. "It's the details," Imura said of the biggest change she made to the Chinese team. "That's something China didn't have before." Huang, who won the solo routine silver medal at last year's Shanghai World Championships, credited Imura for the improvements she's made. "We did the same drills before she came, but never went to the level that she required and forced us to," the 22-year-old said. "She wouldn't let us rest until we did it as she expected. Once we get to the point where we clearly can't do it, she doesn't criticize us, but watches video all night, analyzing it again and again to figure out what we can do better." The sleepless nights paid off at the Worlds, where China scooped six silver medals from a total of seven disciplines to edge out Spain for second spot on the medal table. Liu realized her dream of reaching the Olympic podium again. "We are very grateful to Coach. We couldn't have turned our bronze (in Beijing) into silver without her instruction," the 25-year-old said. Imura shrugged off the praise, stressing the results were just a bonus for her. "Training them and making them stronger is something that I really enjoy," she said. At least one opponent was envious of Imura's work in China. "I hope we could have her in Spain to help us. She is so professional and has rich experiences. China is so lucky to have her," Spanish head coach Anna Torres told China Daily after winning the duet silver on Tuesday. The 62-year-old Osaka native has picked up some Chinese to smooth the cultural gap, and spends time with the swimmers on holidays while training in Beijing. "I enjoy the relationships with my Chinese players," she said. "They call me teacher Imura in training but just call me by my name away from the pool." Huang said Imura takes them to Thai massages and spas on weekends as a reward. 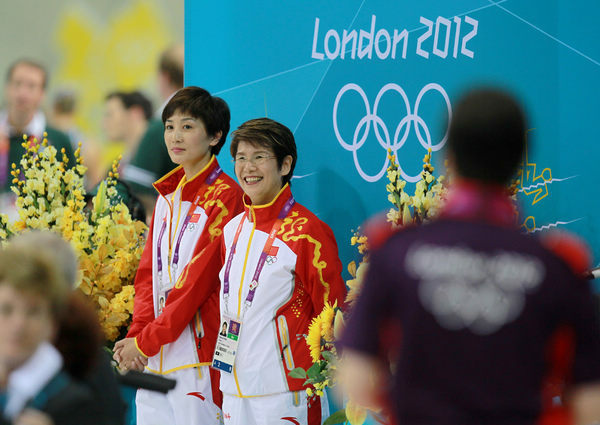 "She never compromises in practice, but it's pretty relaxed away from training," Huang said. "We chat a lot and don't have any problem communicating. We use a little Chinese, a bit of English and sometimes body language."